Beautiful handmade bouquets made fom items of baby clothing. Not only do they look beautiful, but are practical gift. A lovely alternative to flowers. 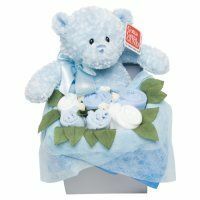 Ideal for a new baby or baby shower gift.